In 1994, Ron Clarke, a paleoanthropologist at the University of the Witwatersrand in Johannesburg, South Africa, was looking through some museum boxes filled with fossil specimens from the Sterkfontein caves, located about 40 kilometers northwest of the city. Beginning in the 1930s, a number of hominin fossils had been found there, mostly australopithecines, in what South Africans call the Cradle of Humankind. Clarke quickly realized that four of the fossils, all small toe bones, had been misidentified as belonging to monkeys. They actually belonged to an early hominin, most likely another australopithecine. It quickly became known as "Little Foot." Over the following years, Clarke, together with his collaborators Nkwane Molefe and Stephen Motsumi, searched the cave grotto from which the toes had come, trying to find more fossils. They eventually came across an almost complete hominin skeleton, encased in breccia. Under the official direction of the late Philip Tobias, the legendary Wits paleoanthropologist, Clarke and his colleagues began the slow task of extricating Little Foot's very fragile bones. It would take them nearly 20 years; the skeleton was finally put on brief public display last year. Over this entire time, as he and his colleagues dug it out of the cave, Clarke had pretty much exclusive access to Little Foot, although he has so far published only very limited descriptions of the fossils. At the end of this month, however, Little Foot will become open access, or as the Wits fossil curator refers to it, "open collaboration." In other words, other teams will be able to study the skeleton and publish their own papers about it. Indeed, one research group, led by Wits paleoanthropologist Lee Berger--leader of the Australopithecus sediba and Homo naledi teams in South Africa--has already had access to the skeleton earlier this year, and is expected to publish its results sometime after the open access date of November 28. At this point I have to pause for a back story that provides important context, that of a long rivalry between Ron Clarke and Lee Berger well known to human evolution experts (even if they might not be aware of all the details.) When it came time for Tobias to retire in the mid 1990s, Clarke and Berger became the main contenders to replace him. During a visit to Wits in 2011 to profile Berger for Science magazine, I interviewed Tobias in his office and he told me the story. But later, Tobias said, he soured on Berger, after he became convinced that the younger man had tried to steal credit for the discovery of Little Foot from Ron Clarke. Tobias told this story to many others, and before long, pretty much the entire biological anthropology community was convinced this was true. However, during my 2011 visit, I spent a lot of time in the Wits archives researching the question, as well as talking to both Berger and Clarke and many others about it. I continued this research for weeks after my return home. Most of my findings ended up on the cutting room floor, because Science thought it was inside baseball. But the bottom line was that the accusations were not true, as the university itself had found during its own, earlier investigation. I assume, however, that Tobias went to his grave still believing them. That brings us back to the present. Berger had long argued, correctly I think, that the very long period during which Clarke had exclusive access to Little Foot was bad for science, especially after publication of the discovery of Au. sediba in 2010. Although the exact dating of Little Foot has been a matter of fierce controversy, Berger thinks they are relatively close to being contemporaneous. That means that a comparative study of Little Foot, Au. sediba, and other hominin fossils could help to illuminate a key period in human evolution, assuming that the South African hominins were not an evolutionary side show as some have argued. I've talked to many scientists who agree with Berger that it is long past time for Little Foot to be fully published and for others to be allowed to study it. That is now happening. In a Skype interview earlier this year with Bernhard Zipfel, Wits' curator of fossils, and Zeblon Vilakazi, Wits' deputy vice-chancellor, the two men gave me the details of the open access plan. Vilakazi pointed out that Wits had an obligation under South Africa's heritage laws to make Little Foot available for study, but that policies were fairly loose concerning how long the discoverer of a fossil could have exclusive access. 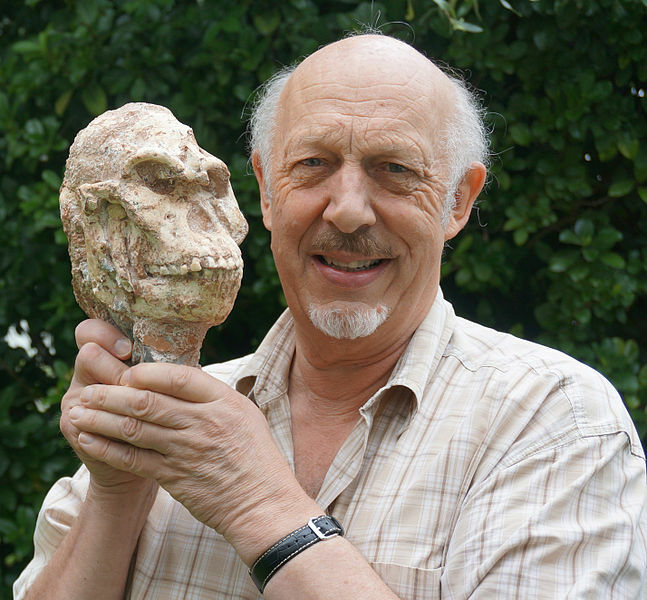 Zipfel said that normally a researcher would have seven years after a fossil was out of the ground, but that the long time it took to extricate Little Foot justified giving Clarke some extra time. Berger is understandably reluctant to discuss the situation, especially as his own study of Little Foot will not be published until sometime after the November 28 date and thus he is not free to talk about the results before then. And, according to Zipfel, beginning in 2016 the university had to negotiate a compromise between what Berger wanted--immediate access to Little Foot at that time--and what Clarke wanted, no access at all until he had published his own analyses and descriptions. The early access by Berger's team, but delay in publication, was the compromise arrived at by the university officials in consultation with outside experts. I've given this background because I think it is important to understanding how we have finally arrived at what most scientists will surely see as good news: Little Foot will be fully published at long last, and other researchers will be able to study it and draw their own conclusions. Science, and all of humanity, can only benefit. Update Nov 8: Since this was published, some have pointed out to me that Ron Clarke did not use air scribes exclusively to extricate Little Foot from the breccia, but that he and his colleagues used hammers at least some of the time. This is illustrated in a YouTube video about the skeleton, and I recall seeing hammers used at least briefly during my visit in 2011. This story will be updated as it develops. Dear Michael . . .
Thank-you for your well-researched article. I have been aware of the conflict between the two since the nineties when I interviewed Clarke and his wife. It is unfortunate that the two have not been able to work together and it is strange that paleoanthropology has produced a line of big personalities - a double-edged sword for the field. Strangest of all, is that I interviewed Clarke, who is notoriously media shy; but I have failed many times to secure an interview with Berger, who is supposedly media friendly. Go figure.